Once upon a time Detroit was a thriving city centre and home to both the motor and music industries game changing players. During the 50’s and 60’s they dominated their specific fields of play. Nicknamed the Motor City and Motown, Detroit was the home to the “Big Three” US automobile companies Ford, General Motors and Chrysler and the music powerhouse Motown Records. Detroit had all of the ingredients for industrial growth, it soon became a global symbol of modernity and of the power of American capitalism and the labour that built it. At one time Detroit had over 120 auto companies situated there and some of them were the largest private employers of African Americans in the US. To this day Detroit has the highest ratio of Black people compared to other US cities, with around 80% of its residents African American. Competition in the motor industry saw a serious decline in Detroit which forced many motor companies and small businesses to down size, relocate or ultimately close down, and with Motown Records also relocating to Los Angeles in the 70s some would say Detroit lost its “Soul”. There was a mass migration of people who could afford to who up’d and left the D, moving to the suburbs or other cities. The city has lost over 60% of its population since 1950, the departure of middle class whites left the African American community in control of a city suffering from an inadequate tax base, job shortages, and inflated welfare rolls. As part of an “urban renewal” project, motorway construction cut through the most densely populated black neighbourhoods. The demolition and physical barriers caused by the freeways further split and reduced these once thriving areas. The obliteration of the community with little warning or effort on the part of the city to provide housing assistance was catastrophic for the African American inhabitants. 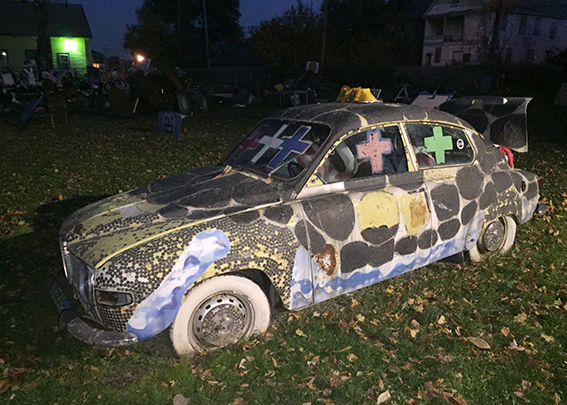 The D has been described by some as a “ghost town”, where you find tens of thousands of abandoned buildings, vacant lots and unlit streets. While some of the abandoned buildings have become hubs for drugs, arson, and other crime… some parts of the city are so abandoned they have been described as looking like farmland or even completely wild. To make matters worse Detroit is also running out of money. This dilemma has been developing for decades and has reached the point where immediate action was necessary just to keep the city running. In March 2013, Governor Rick Snyder declared a financial emergency in the city. The financial review team said it had no plan in place to fix the problem, stating that the city has a $327 million budget deficit and faces more than $14 billion in long-term debt. On the eve of All Hallows Eve I wake to experience my first morning in the D. I later come to find out that in fact I was staying in an area known as Highland Park, a city which is completely surrounded by Detroit. On paper it was a city within its own right, but most people whom I spoke with who were from there said… “This is Detroit… the people you see working and moving through here are from the D”. Highland Park began as a small farming community in the early 1800s, and although the land scape has gone through significant changes from then to now, it was interesting to see that in 2014 Highland Park whether “by choice or force” still housed a “small farming community”. 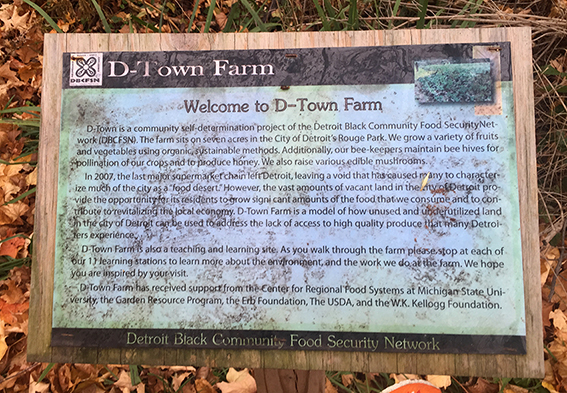 As mentioned previously Detroit is a city with hundreds of acres of abandoned, derelict, and ruined space, Detroiters are fighting back with one of the country’s largest urban agriculture movements. Residents, non-profits, and corporations are rehabilitating their city in a sustainable–and often edible–way. 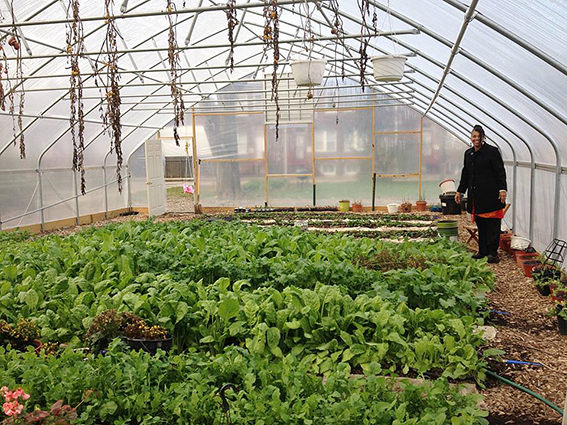 Urban farming has become increasingly popular in the last 10 years, allowing Detroiters to grow the city new roots through agriculture. 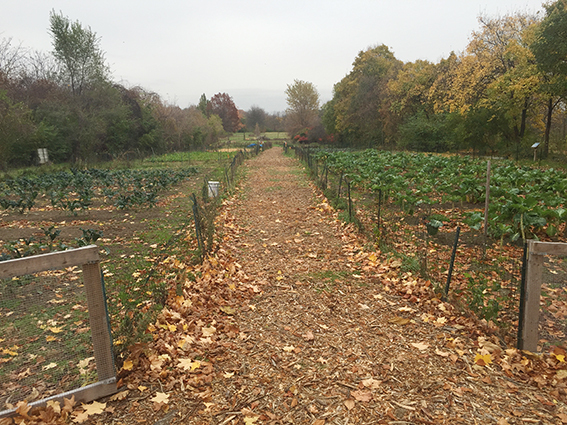 The farms and gardens are being used to help the city not only as a food source but also by connecting community members. 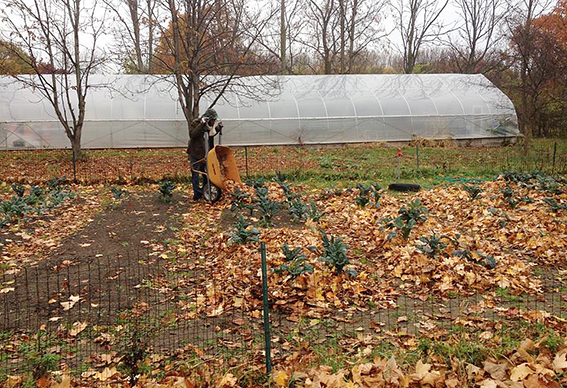 Detroit has really become the centre of the urban agriculture movement. 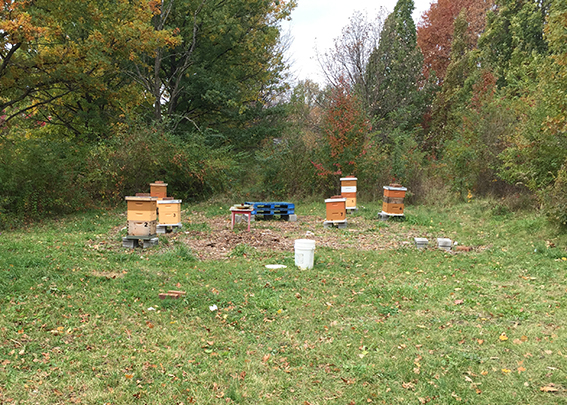 My plan while in the D was to take out some time to connect with some of these groups as it complements my lifestyle and closely relates to my work at Organiclea. Ironically the apartment where I was staying was located on a city garden called “Ohana Gardens”, a beautiful space ran by a revolutionary gardening family. Diane and Keith along with their family and local residents were growing a variety of squashes, spinach, salads, potatoes, kale and a selection of medicinal herbs. The daily view of the vegetable beds, wild flower areas and hoop houses from the apartment were so inspiring. I was told that this was once one of those abandoned derelict spaces which had been left to go wild, and was occupied by drug addicts and prostitutes. 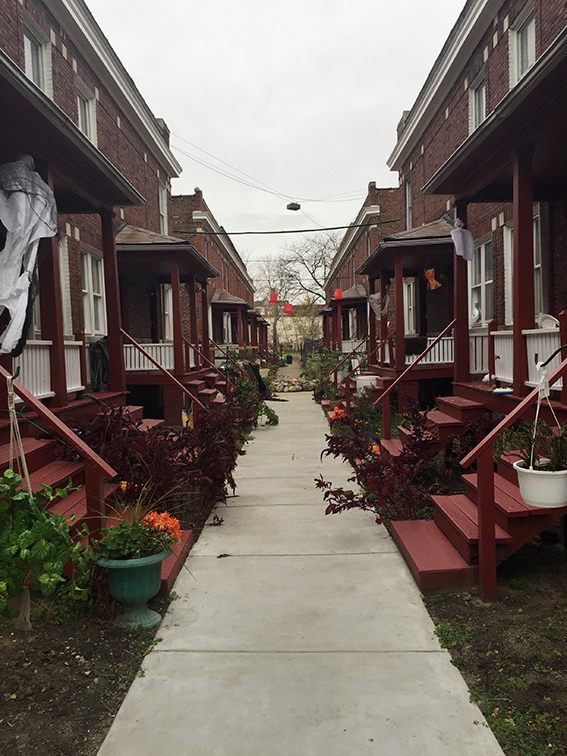 The now the fertile land was providing food and work for residents and generating true community spirit in the area. Diane and Keith were not only great hosts but were priceless allies during my time in the D. They were influential players in the urban food growing movement… they helped, fed and housed homeless and socially challenged residents in the community. 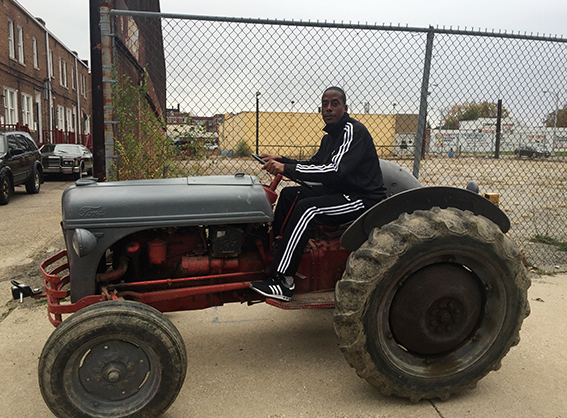 They introduced me to some key movers and shakers from the Detroit food growing community…. 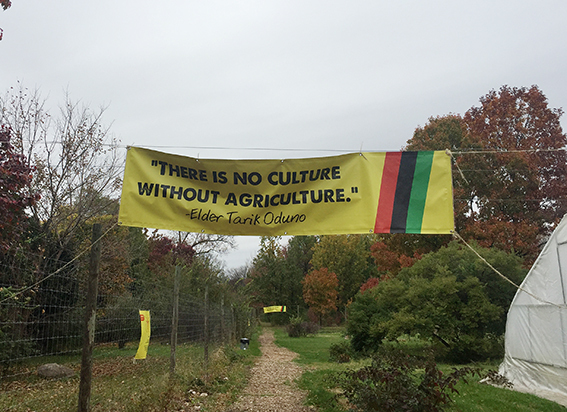 I visited some great places and met with some remarkable people some of my highlights include visiting; Oakland Community Market Garden, Earthworks Urban Farm and D-Town Farm. While walking along any Detroit block it wouldn’t be hard to get your hands on a chilli dog or some hot honey chicken wings plus some liquor to soak it all up… it was a shame to see that access to fresh healthy food from the few corner stores left were limited if not non-existent… and although the invasion of all the local and express Tesco’s and Sainsbury’s in London wind me up… regardless of my views you can still go grab a bag of carrots or potatoes. 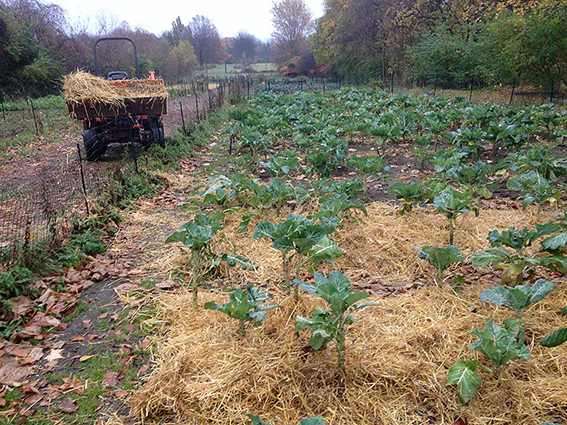 The decline of Detroit has inspired and in some cases forced residents to grow their own food and go back to the root. With limited resources you find local people using ingenious techniques and ways to cultivate the land and grow food organically. 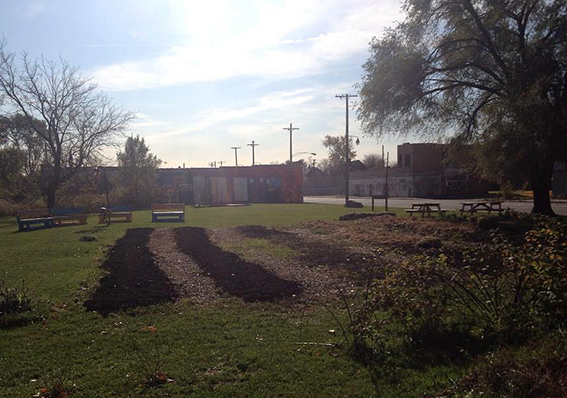 While every garden makes an impact in its own way, the subtle yet powerful interconnection between gardeners and community-based organisations engaged in the work of transforming the local food system is what is making a positive change happen in Detroit.